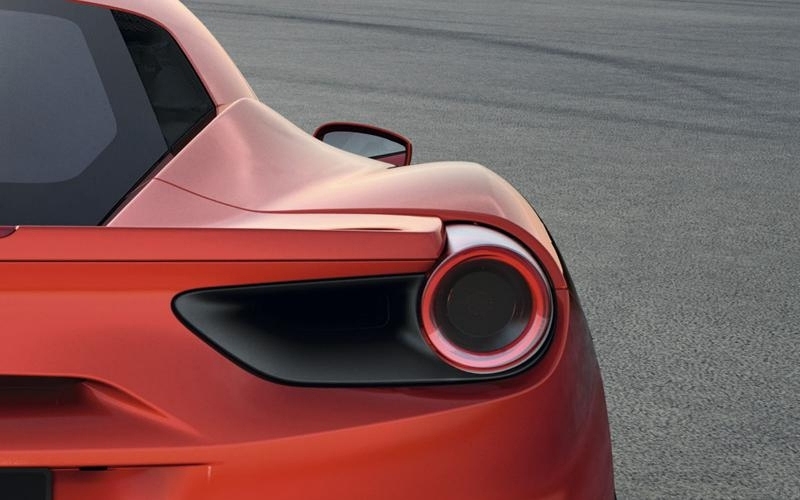 After an immense series of vague teasers, Ferrari has finally revealed the 488 GTB which was previously thought to be the 458 M (Modificata). 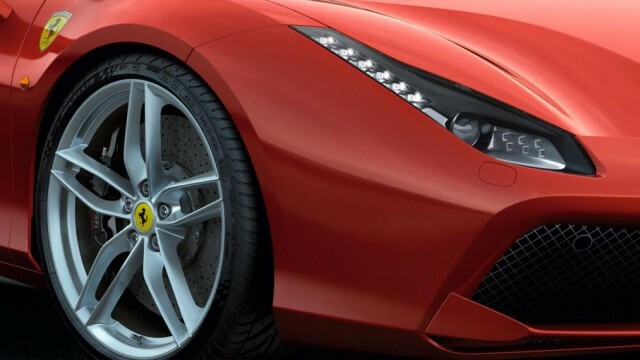 The 488 GTB has got even more aggressive in looks and figures than the 458. 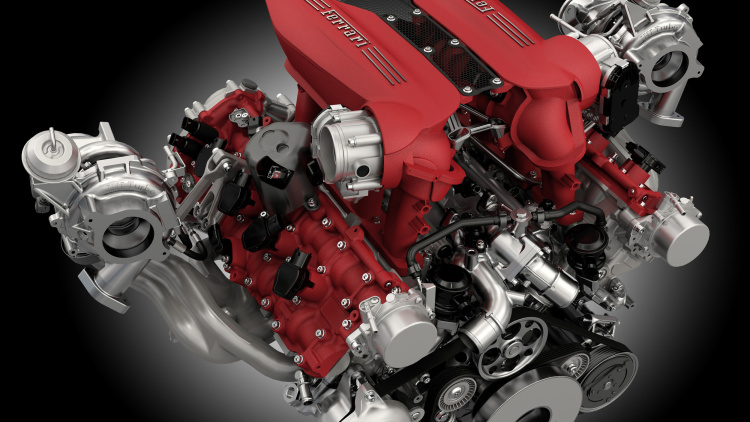 It produces a staggering 670 horsepower thanks to the 3.9 liter twin turbo V8. engine. Meaning, it will sprint to 100km/h in just 3 seconds and to 200km/h in under 8.5 seconds. Flat out, it’ll reach a top speed of 205 mph (330km/h). The 7-speed dual clutch gearbox has been updated with variable torque management for a very quick response in acceleration. 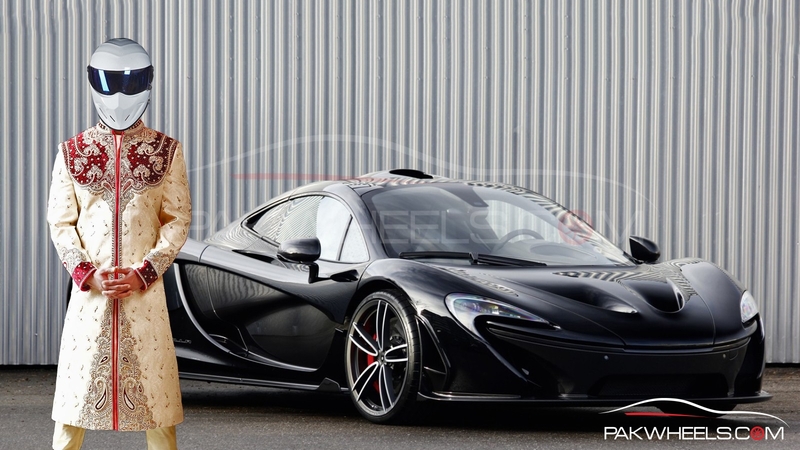 It went around the Ferrari’s famous Fiorano track in just 1 minute and 23 seconds. For reference, this time is just 3 seconds more than the lap time set by the fierce LaFerrari. Even though, Ferrari specializes in the NA engines category, the big displacement V12’s, they had to come up with a twin turbo system to meet the regulations and standards of the environment protection agencies. 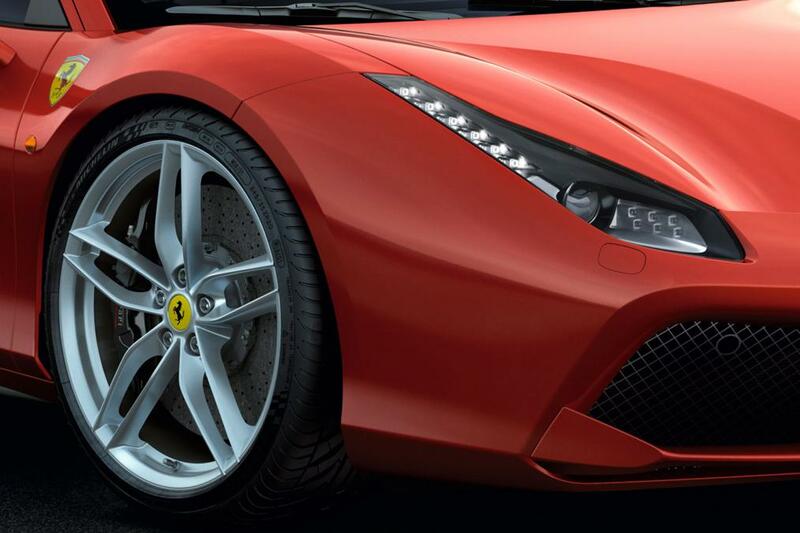 Being a bit shorter in length than the 458, the 488 GTB still looks ferocious and very sleek. The rear end indulges the viewer in itself. 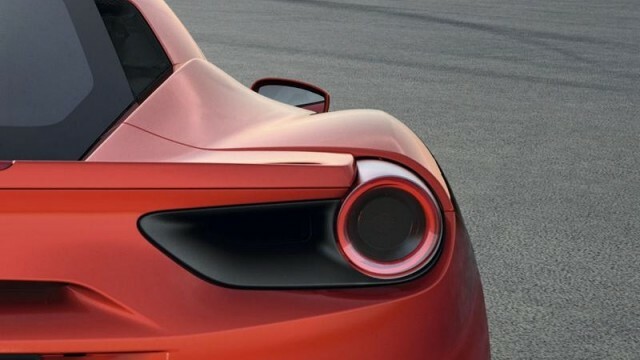 The LED embedded tail lights that appear to be growing out of the rear vents look like 2050 to me. 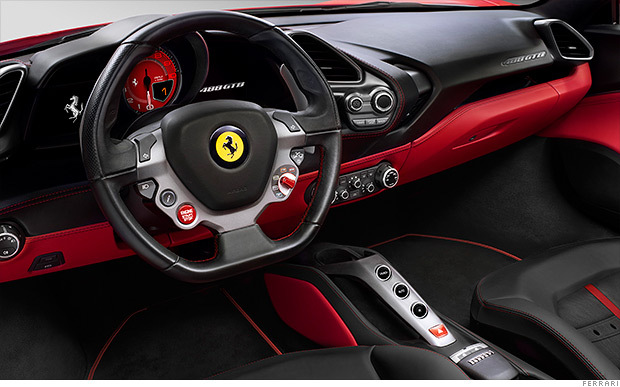 Inside, you find new and more gripping seats. The instrument cluster along with the infotainment display has been tweaked and so are the in-dash multimedia and SAT NAV system. 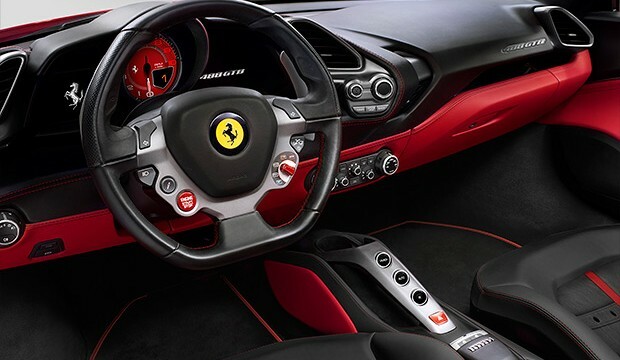 All the other accessories such as the mode selection and gearbox selection have the same layout but their appearance has been changed to make the 488 look more futuristic. 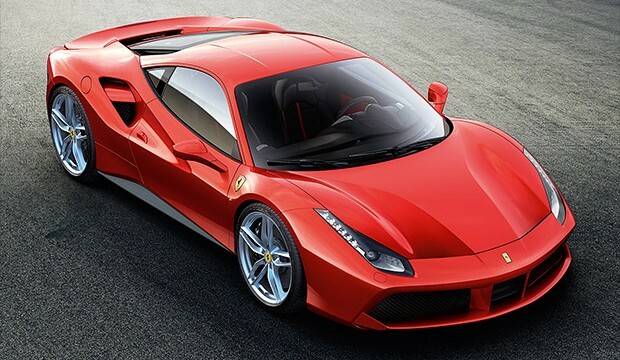 The 488 GTB would be having a rivalry with the McLaren 675LT, a car which McLaren has confirmed to have a power output of 666 BHP and will debut along with the 488 GTB at the Geneva Motor Show in the next month. Bhai zara price to bta dn is ki??? ?